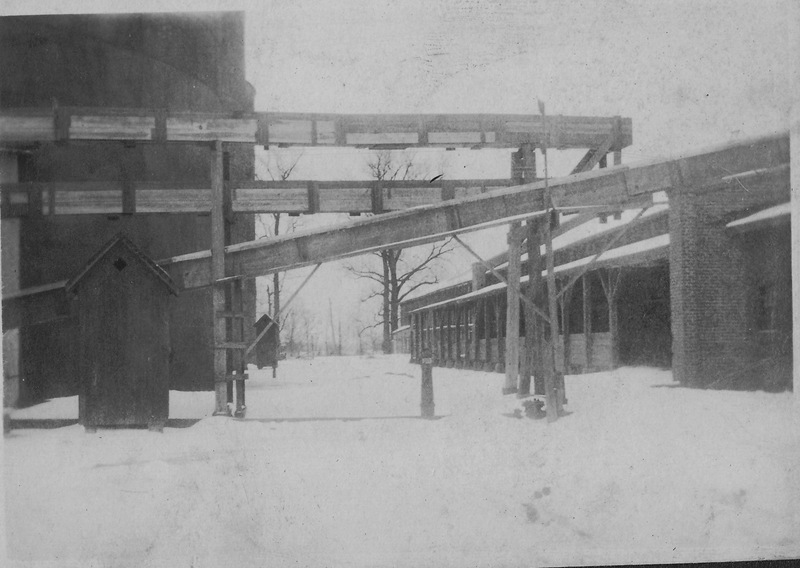 Buckeye Cottonseed Oil Mill in a ~ 1920 snow. As the slow, steady progress of bungalow demolition and repurposing continues, I thought I might backtrack through daughterofthedelta and provide more photos on some of the Greenwood places that meant so much to Sara. And since we’ve just been treated to a lovely “snow event” that frosted our trees and entertained our children before gracefully melting away, this image from 1919 or 1920 seemed timely. So let’s reach back a full century and explore what we’re fortunate enough to be viewing. These icy buildings are part of the Buckeye Cottonseed Oil Mill, located just west of today’s Highway 49/82 bypass and the Hinman Bridge over the Yazoo. The dark structures looming on the left are the massive cylindrical tanks which stored the seed; they still stand out there today. A system of conveyor belts connect the tanks to storage sheds; those are gone, as are most of the old brick buildings and various functional structures which were scattered around the large complex. Also gone (but relocated to Strong Avenue) is the large frame Queen Anne home which sat in the shadow of those ominous tanks and housed the Buckeye’s manager and his family. At the time of the snowstorm, that manager was my grandfather, Howard Evans. 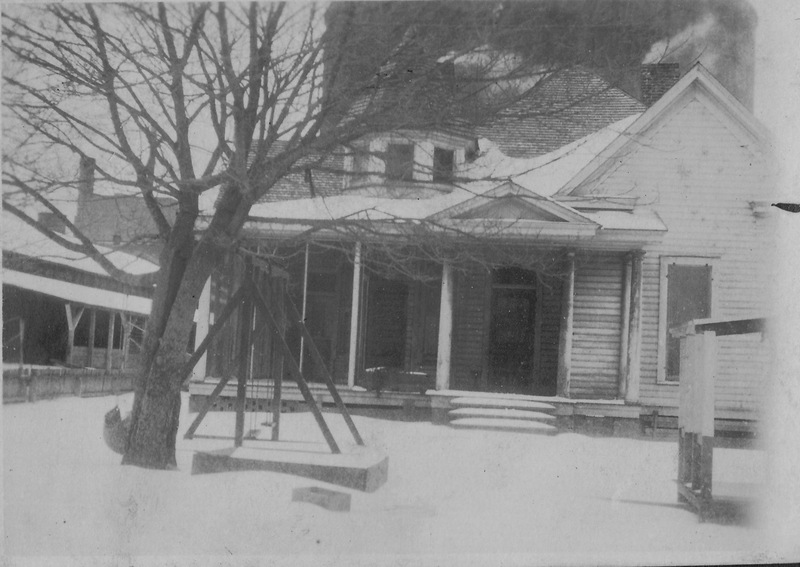 He lived in this lovely rambling home with my grandmother, Jessie, my great-grandmother (“Bama”) and my aunts, Jessye (“Tiny”) and Mary Olive (“Mamie”). 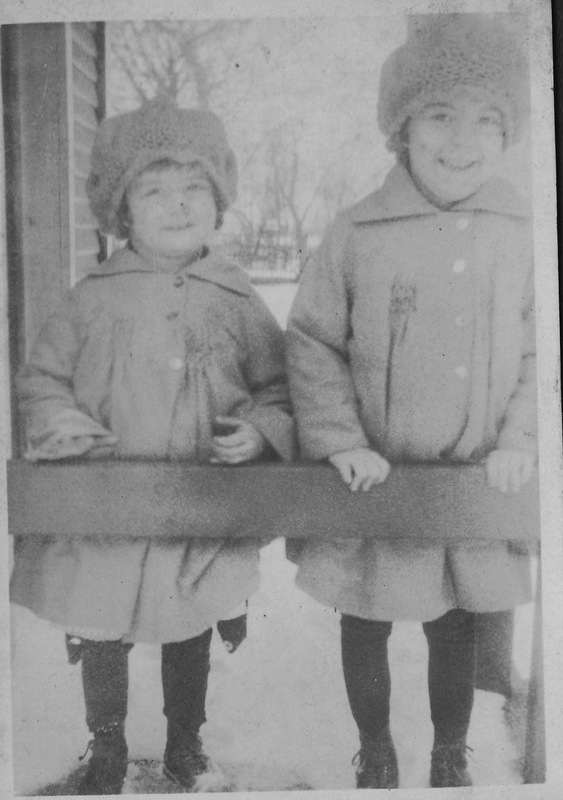 Mamie and Tiny in the Buckeye snow. These were the pre-Sara days, happy years on the very far western edge of Greenwood, separated from town by cotton fields and dirt roads. The rumble and vibration of the oil mill machinery must have been a constant presence in the lives of the Evans family, but it symbolized a steady job and a certain status in the community. 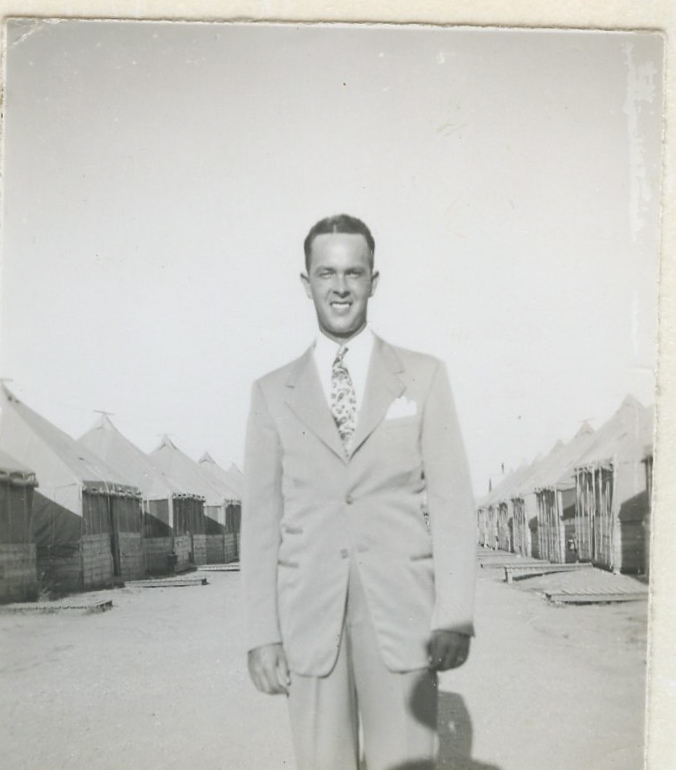 According to Sara, my grandmother was inordinately proud that her handsome young husband was the manager of such a large and vital enterprise. 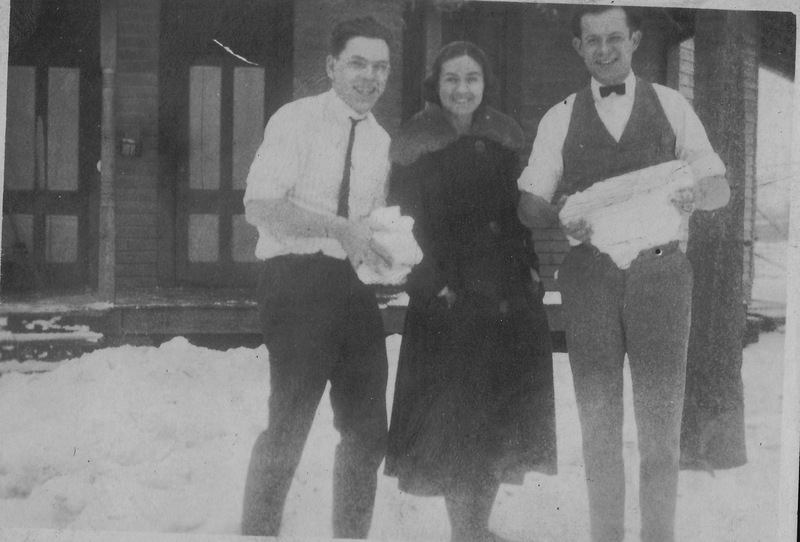 Buckeye employees enjoying the snow; names unknown. Howard oversaw the daily operations of one of Greenwood’s largest employers, quite a responsibility for a man still in his 20s. 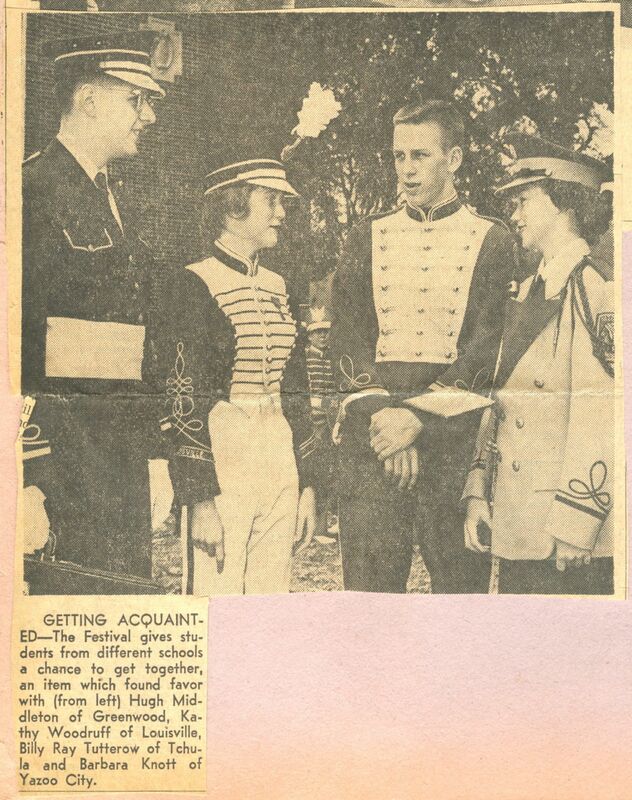 And what exactly was the Buckeye? Well, if you grew up in Greenwood in that day or mine, the Buckeye and Planters Oil Mill were as much a part of the landscape as cotton gins and the courthouse. The Buckeye dated back to the late 1800s, when farmers would contract with the oil mill to take their ginned seed off their hands. It was a necessary industry, but not one that would set the woods on fire. To understand the growth of the cottonseed oil business, we’ve got to go way up to Cincinnati, Ohio. Half-a-century before this snowstorm, soap maker James Gamble and his brother-in-law, candle maker William Proctor, teamed up to compete with others in those businesses in southern Ohio. They did all right for themselves, growing into a little company that they called Proctor and Gamble. P&G, as it came to be known, was at war with the meatpacking industry by the 1890s, fighting for lard and tallow to use in its household products. Their chemists set to work looking for a substitute, and in 1907, a German immigrant named E.C. Kayser figured out how to throw hydrogen atoms into a cottonseed oil fatty acid chain. OK, enough science, cut to the chase: Herr Kayser had invented Crisco (CRYstalized Cottonseed Oil). America’s housewives went nuts, with a little help from P&G’s marketing department. What young mother in 1910 would not prefer the ease and consistency of snowy-white Crisco, sealed in a convenient can, to the messiness of hog tallow? Demand went through the roof and cottonseed oil was suddenly solid gold. Proctor & Gamble looked south to the cotton belt states and quickly bought up eight Mississippi operations. Greenwood’s plant was deemed “The Buckeye” in homage to the Buckeye State, Ohio. And the seed rolled in from the fields and tumbled down conveyor belts which stretched out to the Yazoo River and was dumped into vast tanks and magically transformed into cottonseed oil. And Howard Evans made sure it headed off to the factories of his boss, Proctor & Gamble, and went home each night to the white house at the edge of his empire. The Buckeye house, Sara’s first home. Now located at 1304 Strong Avenue. 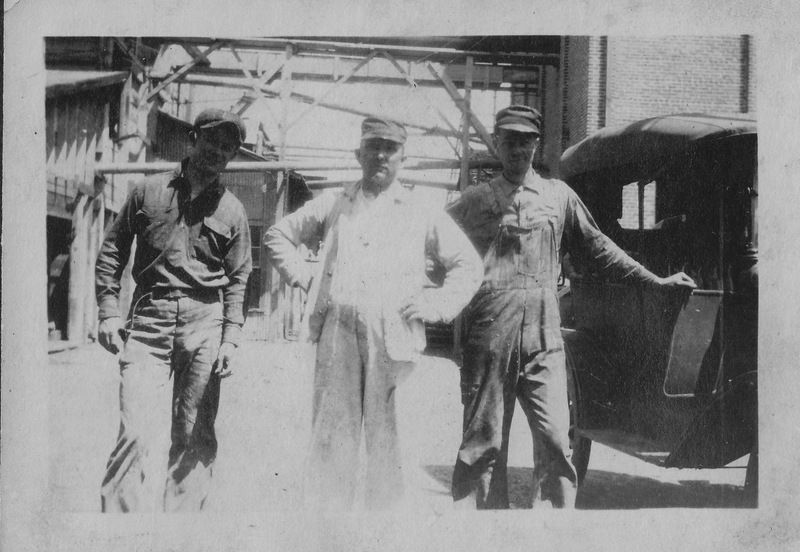 Three of Howard’s men at the Buckeye, circa 1920. Names unknown. This looks like a happy day at 1212 Strong Avenue, doesn’t it? 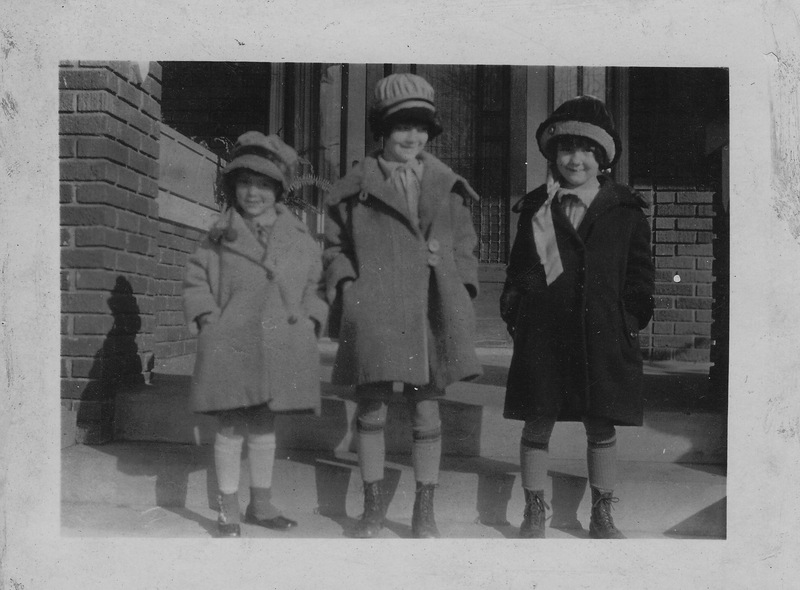 Sara, Tiny and Mamie are all dolled up in their best winter coats, hats, leggings and boots, probably on a damp winter’s day much like today, maybe 1926. My guess would be that Sara is 5, Tiny is 8, Mamie is 6. Whoever is behind the camera has no trouble getting a smile from these three, so I suspect it’s their father. 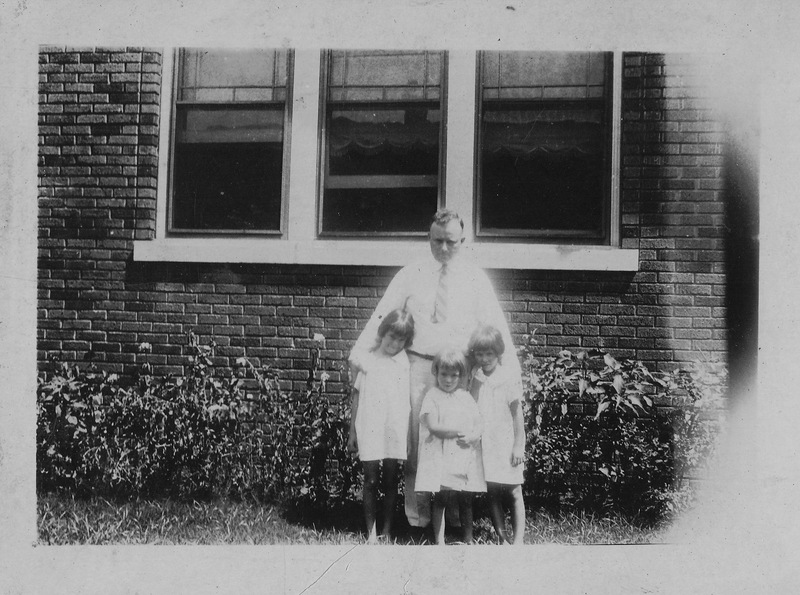 Howard Evans, Sr.,built this house, a sturdy, roomy bungalow, with these three girls and their mother in mind. It was a house full of dolls and paper dolls and playhouses and music and books and laughter and probably a few hair-pulling, eye-scratching tussles between these angelic little ladies. It was very much a home and the place where, at least for Sara, the memories started. She tells us in her memoir that this was the happiest place for the Evans family, and though that may be the rose-colored recollections which we all have of our earliest years, there’s some truth there. 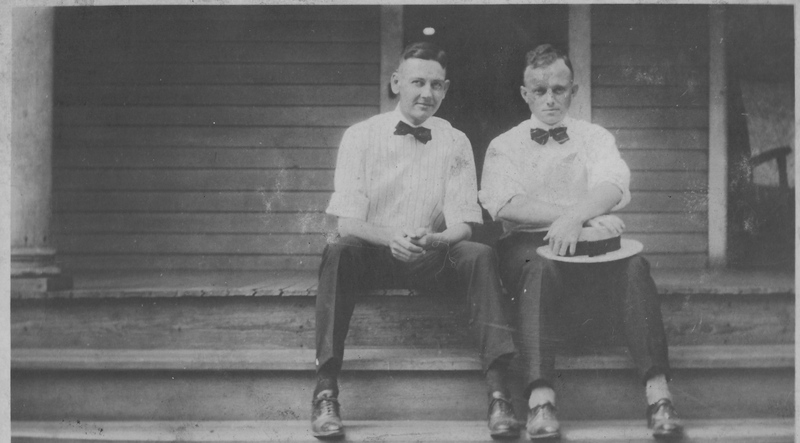 A year or so later, Howard, Jr., would arrive, and that chapter of the Evans story in Greenwood would continue until 1929. 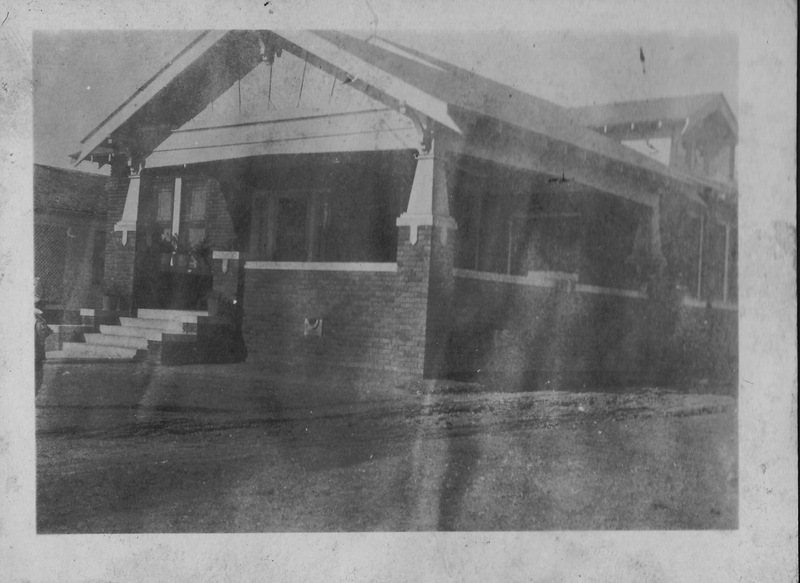 That year, the house was sold, the Jackson adventure began, and a different family came back to Greenwood in 1932, knowing 1212 Strong Avenue only as someone else’s home for all the decades to come. 1212 Strong Avenue, 115 East Washington, 207 Walthall: All of these houses, never home to me, but as much a part of my childhood memories as our own house at 409 East Adams. My mother was a storyteller, a keeper of legends and a weaver of dreams, who filled my days with tales of an earlier time in those houses, so much so that I could walk through them in my mind and hear Mamie’s giggles and Tiny’s lectures to her younger sisters and my grandmother’s calls out the back door, reeling them in at dusk or offering wood stove tea cakes. I loved those old houses as much as my own and I still consider them a part of this family, even though the Strong Avenue bungalow has been another family’s for 86 years and the last Stott left 115 East Washington almost fifty years ago. Time flies, true, but it leaves strands of attachment in its wake, and I have a bad habit of getting tangled in those strands. Look again at the picture above. 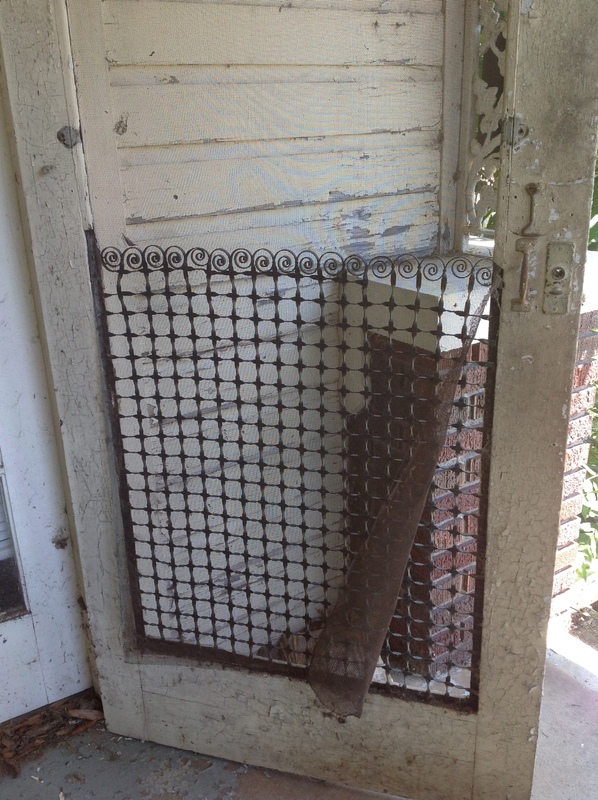 The girls are standing in front of the bungalow’s front screen door, a wooden frame just a few years old with an elaborate scrollwork mesh protecting the screen. In a later life, when the big wraparound porch was enclosed, that door was moved to the new entrance. It’s still there, though curled and loose. The whole house is still there, somewhat worse for wear and surrounded by houses whose owners are not too concerned with history or dignity or the echoes of little girls long gone. 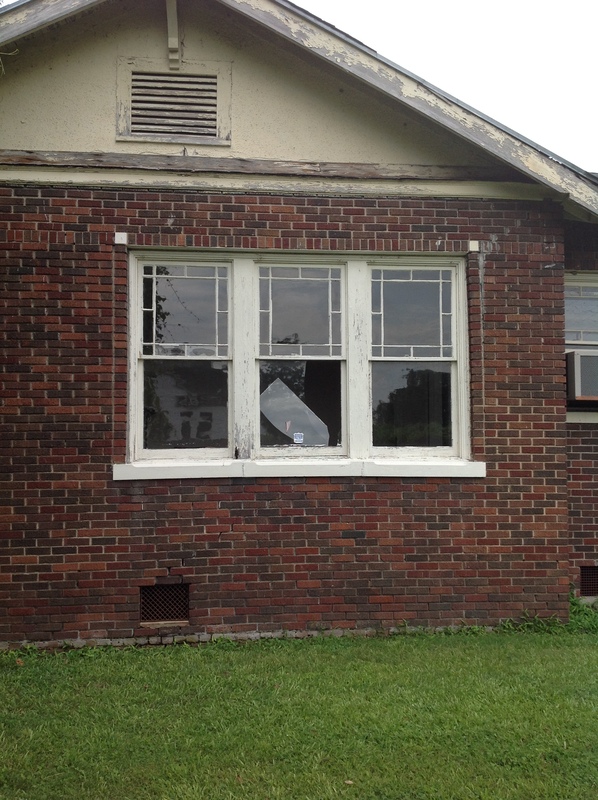 The neighborhood, like so many in Greenwood, is struggling to survive, but 1212 will not. Not in its 93-year-old form. My contractor came today, armed with crowbars and saws and hammers. He will take the bungalow apart, carefully crating up the big windows and the door frames and the old doorknobs and the mantle and the bookshelves. Then he’ll pull the bricks off and load it all up on a trailer, bound for Holmes County. There it will all magically come back together, not as a bungalow, but as a cabin for Jessie’s 4th granddaughter (that’s me!) and her grand-son-in-law and her great-grandchildren and her great-great-grandchildren and, hopefully, for generations to come that none of us will ever know. We’re losing a big piece of our Greenwood history, beginning today. But we’re taking Jessie home, in a sense, back to Holmes County. And with her will come Sara and Tiny and Mamie and Howard, Sr., and Howard, Jr., at least in memory and in spirit. That’s the beauty of an old house and of family: If you never forget, it’s never gone. As mentioned before on this blog, this was Mr. Roy Martin’s 1935 brainchild, and what a wonder it was in its time. Mr. Martin, that kind soul, transplanted to Greenwood from Arkansas, found his heart breaking for his GHS students, trapped in the worst of the Depression and low on hope. The Greenwood schools were so strapped for cash that they could barely outfit a football team and patch up the old band uniforms, and luxuries like annuals and senior plays were just forgotten. So many students had dropped out in search of scarce jobs that the class composite from those years are down to just a handful of young faces, peering out into a very uncertain future. Roy Martin found a way to reward his persevering trumpeters, drummers and majorettes. He claimed the second Friday after Thanksgiving as the date, invited a few surrounding towns to send their bands, and persuaded the City of Greenwood to string some lights along Carrollton Avenue and Howard Street. And instead of just christening this a “Greenwood Christmas Parade,” he declared it to be the “Delta Band Festival and Winter Carnival.” It sounded much bigger than it was, that cold fall day in 1935. But it gave Mr. Martin’s students a reason to practice and dream and march their boots off, and it sparked something deep within the beaten-down soul of Greenwood. That first parade was a rousing success. A few more bands came in 1936, and the city added a few lights over the next few years, and Santa’s float grew bigger and more glorious with each passing year. WWII took some of the original participants away but it brought hundreds of Greenwood Army Air Field cadets and officers to line the sidewalks of downtown. And by the time Sara had her hands on a camera in the mid-1950s, Roy’s little celebration had grown into Mississippi’s premier Christmas parade, one of the largest in the Southeast. At its peak, more than 8000 high school band students poured off the yellow buses in the pre-dawn hours, rolling in from Yazoo City and Jackson Murrah and Pontotoc and Hernando and every little burg that could pull together a band to march. Ole Miss’ “Pride of the South” showed up. As did MSU’s “Famous Maroon Band.” With a morning parade and an evening parade, the streets were packed with teenagers in their crisp uniforms all day long, and the sound of drums and tubas and clarinets drifted from the campus of the old Greenwood High School from early morning until the end of the evening’s fireworks. Sara had a guaranteed spot in the Tri-State section of the Commercial Appeal for a Band Festival story every year, and she was like a little girl in her anticipation of the big day. She would be on the high school lawn with her YashicaMat when the first buses came around the corner, and she photographed as many of the young musicians as she could corner. Cathy and I were given pocket money and sent off to the Red Cross building to watch the morning parade, then turned loose for the afternoon to entertain ourselves and hang out with friends. School on Band Festival Day? That just didn’t happen, and we felt like the luckiest kids in Mississippi with our extra holiday and our very special town. There will be a Delta Band Festival Parade today at 4pm. It will delight the children who hear the music and watch the floats and wait for Santa’s triumphant entrance. It will be special for them, and that’s a gift. But the gift that Roy Martin gave to my generation, to the Baby Boomers and our parents and our own children, was a mixed blessing. We experienced something, every second Friday after Thanksgiving, that was so magical and wondrous and enduring, that nothing will ever match it. Not today’s Greenwood parade, not Macy’s, not the most elaborate parade anywhere in America, will ever equal what we had on those memorable days of the 1950s and 1960s. You spoiled us, Mr. Martin. Thank you. 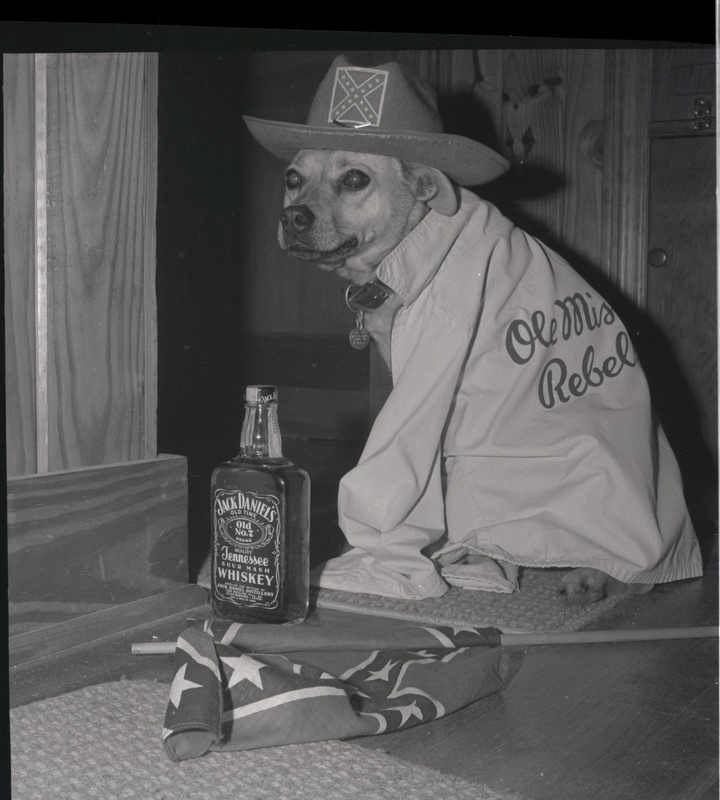 Here’s Brownie Criss, all dressed up and ready for an early 1960s Ole Miss weekend. Like everyone else in our family, her fall Saturdays revolved around that little ear plug in Russell’s left ear, snaking down to a Philco or GE transistor radio, usually on the back porch. In those pre-SEC Network days, you could pretty well estimate the score by the number of cigarettes piling up in the green beanbag ashtray by his chair. Close game, a whole pack of Salems. Runaway Ole Miss victory (which happened fairly frequently in those Johnny Vaught decades), just a few smoldering smokes. If he’d smile and wink at you across the porch, it was safe to go over and crawl up in his lap, because the Rebels were having a good day. If he had his eyes closed and arms crossed, it was best to go on outside and pick up some pecans or take a bike ride. Tomorrow is as big a Saturday in Oxford as there’s ever been. I’ll be there with Russell’s grandson and I’ll try my best to be as even-tempered as he was, no matter the outcome. And I will send up a quiet thanks to the man who taught me that caring deeply about something that, honestly, is just a game, is OK. We’re ready. Another April 1st rolls around, and this one would be Sara’s 93rd birthday. Hard to believe it’s been almost a century since the third of Jessie and Howard’s stair-step girls came into the world on Strong Avenue. It was such an appropriate arrival date, that April Fool’s Day, and she always cherished the uniqueness of her birthday. 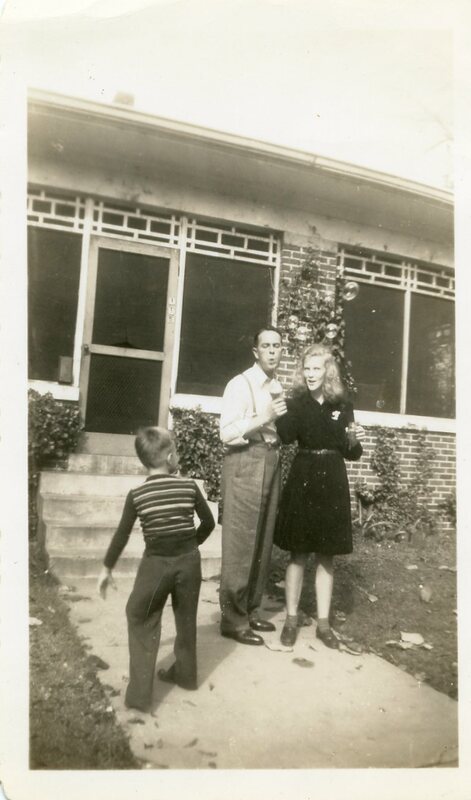 Sara definitely had a streak of prankster about her, evidenced above in a Belhaven photograph from the mid-1930s. Who knows if those teenagers bothered to replace the auction sign or if it’s in the bottom of one of these boxes of Sara’s ephemera that sit up in my spare bedroom? I wouldn’t be surprised at all to run across it. So many odd tidbits have come to light over the past year: As Allan Hammons, Donny Whitehead and I have worked well into a lot of nights with the Greenwood history volumes, one weird coincidence after another has us all convinced that we have at least stretched the time/space continuum if not ruptured it altogether (with apologies to Steven Spielberg and Marty McFly). Long-lost photographs have turned up, letters have appeared, trinkets and mementoes that were desperately needed to illustrate some Greenwood event have just mysteriously turned up, always just in time and with no viable explanation. Our suspicion is that Sara is to blame for all of this magic and mystery. We’re writing books about Greenwood and she has, as always, inserted herself smack in the middle of the action. Happy Birthday, Sara…..and please keep those April Fool’s jokes coming our way. Happy 97th birthday to my father, Russell Criss. He’s a cocksure 25 years old in that picture above, ready to serve his country as a medic in the 45th Infantry. The next few years would be spent in a hell beyond what any young man should ever endure. Now he’s made it back home, and home by 1945 was 115 East Washington, Greenwood, Mississippi. That was where all those letters from Sara and Tricia and Mamie and Son and Jessie and Big and Uncle Roy had poured forth for four long years, carried from that safe corner to Sicily and Anzio and Salerno and Paris and Dachau and Munich. He’s a much, much older man in this picture, though still only 28. But he could still blow bubbles with Tricia and a neighborhood kid, and that was the attitude he carried forward through his long and happy life. 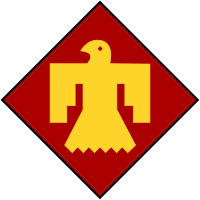 I’m going through some of the boxes of WWII materials now, and I run across the 45th Infantry’s Thunderbird emblem quite often. Russell and Sara actually made a trek to Oklahoma to visit the 45th Museum, and I plan to do the same one day. It was a proud division and I assume that there were a lot of brave, dedicated men who made it one of Army’s finest. But in my mind, 70 years later, it all revolved around one unlikely medic who spent his war saving lives and the rest of his life making me happy. Hope it’s a Happy 97th, Daddy. Miss you.